Shown below is the display on a mobile phone and the toggle navigation menus. 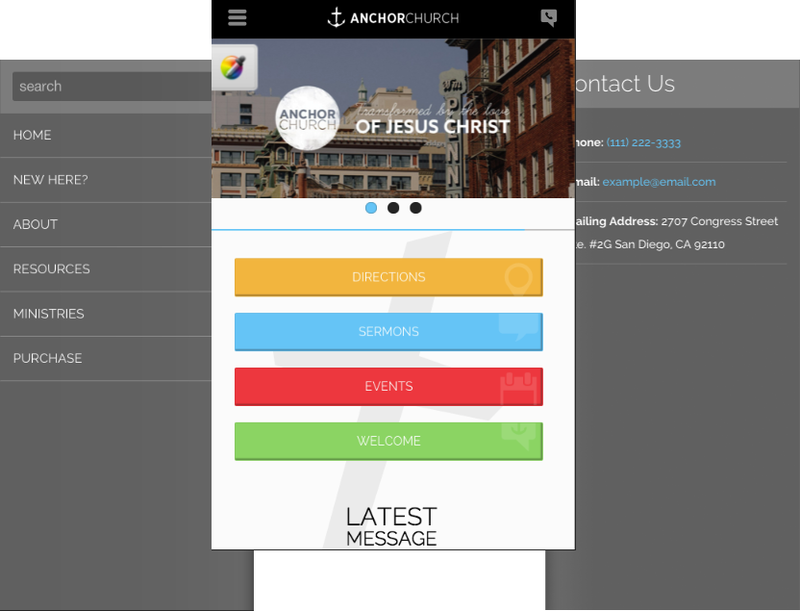 MK021 supports a customizable mobile contact section which is accessable through the top right button on the site header. 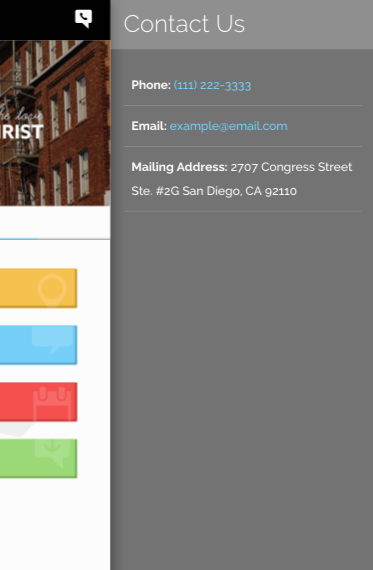 The mobile contact section can be edited by navigating to CONTENT > SECTIONS > MOBILE CONTACT. Sample content is included by default. 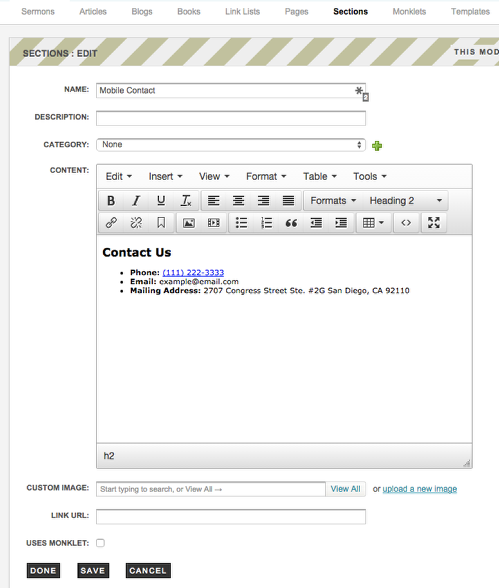 Use the unordered list function to seperate your contact information by a horizontal line.